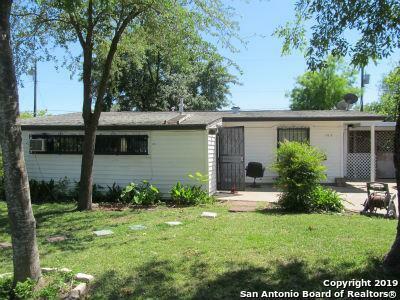 All LACKLAND CITY homes currently listed for sale in San Antonio as of 04/26/2019 are shown below. You can change the search criteria at any time by pressing the 'Change Search' button below. "So fresh and so clean. 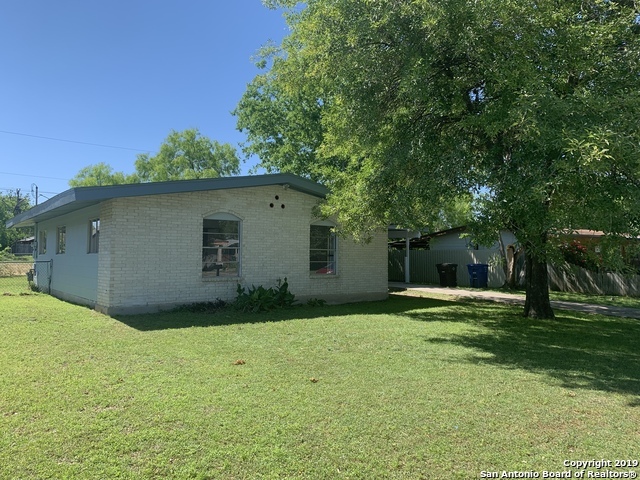 Come look at this updated 3/1 in Lackland City. Convenient to major highways and schools. New flooring throughout, new paint and granite countertops in the kitchen." "Ready for immediate move-in, this 2 bedroom, 1 bath home can be easily converted back to 3 bedrooms. Ceramic tile throughout. Stove/Range with Gas cooking and Refrigerator included. Corner lot with convenient access to Loop 410, HWY 90, IH35, Lackland AFB and Traders Village. Investment potential as rental with immediate move-in. PRICED AS-IS, NO REPAIRS. NO FHA/VA LOANS. A NEW ROOF IS RECOMMENDED, ESTIMATE IN ADDTLN. INFO"
"1 STORY HOME WITH MATURE SHADE TREES LOCATED NEAR LACKLAND AFB, CLOSE TO SHOPPING AND RESTAURANTS. DO NOT DISTURB OCCUPANTS"